Today, on Human Rights Day, we focus on the importance of digital safety for human rights defenders around the world. In an increasingly digitally connected world, it is even more crucial for human rights defenders – whether activists, journalists or aid workers, to be safe online as they fight for the rights of marginalized and oppressed groups. One of the organizations working to keep human rights defenders safe online is Security First. Established in 2013, Security First aims to make it easier for human rights defenders (HRDs) to work safely. We spoke to the co-founder, Holly Kilroy to learn about their work and their latest app, Umbrella. What led to Security First? My co-founder, Rory Byrne and I have both worked in the human rights sector for over ten years and, unsurprisingly, faced many challenges, but the primary one was always security. Both of us have been thinking about the problem of simplifying security for human rights defenders for the past 7 years, since our work in Sub-Saharan Africa establishing and running human rights video organization, Videre, altered us to the gap between need and existing tools when trying to secure our partners. As well as building the app, Umbrella, we also provide security training to groups ranging from the largest human rights, media and aid NGOs in the world to individual LGBT activists on the ground. 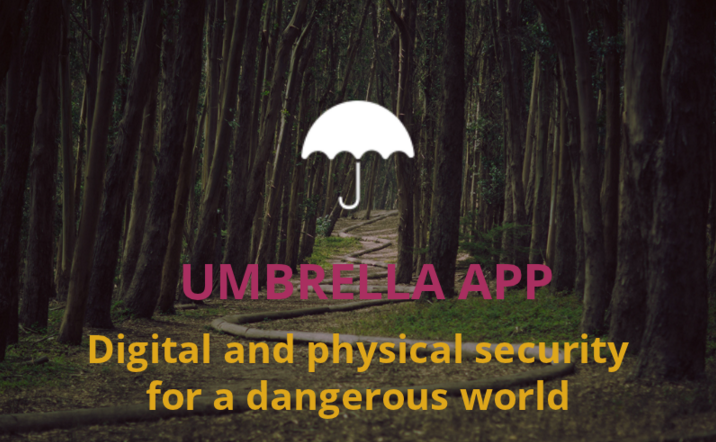 Why the need for an app like Umbrella? While there are a number of instrumental tools for the security of HRDs, collectively, they face a number of problems. Dispersed: It is difficult for HRDs to keep on top of all the various tools and advice available and to know what to use/do when. Complex: Many are designed for users who are adept at IT. Fail to address digital and physical security holistically: Existing tools and resources focus on either digital or physical security, but fail to link them together in a cohesive strategy. So we wanted to build a simple, easily-accessible tool that brought together digital and physical security, and helped human rights activists implement it in a really user-friendly way. We’re basically building the tool we wish we had ourselves. If you’ve got a security problem, Umbrella will help you find the solution. Umbrella’s content has been sourced from best practice security manuals and digital security guides, and provides practical advice for everything — from how to make a secure phone call or protect files, to counter-surveillance or what to do in case of arrest. Lessons give simple step-by-step actions of what to do in any given security situation, and show the best tools for it. Levels allow users to choose their level of ability and also get answers that reflect the level of risk or the type of protection needed. Checklists help mark the user’s progress and share with colleagues what actions have been implemented or have yet to be done. Tools recommended in the lessons can be tricky, so a tool-guide gives step-by-step help on how to set up and use the tools suggested. A dashboard provides real-time updates on possible security threats, and alerts the user if there is anything in the vicinity that she/he should be aware of – from physical security risks like protests or kidnappings, to environmental or health security risks like floods or disease outbreaks. Umbrella is free, open-source, and has cleared a security code-audit – it doesn’t track users’ location or take any personal data on them. Once the app is downloaded it can be used without data – the only feature that needs Internet access is the dashboard. What has been the response to Umbrella? 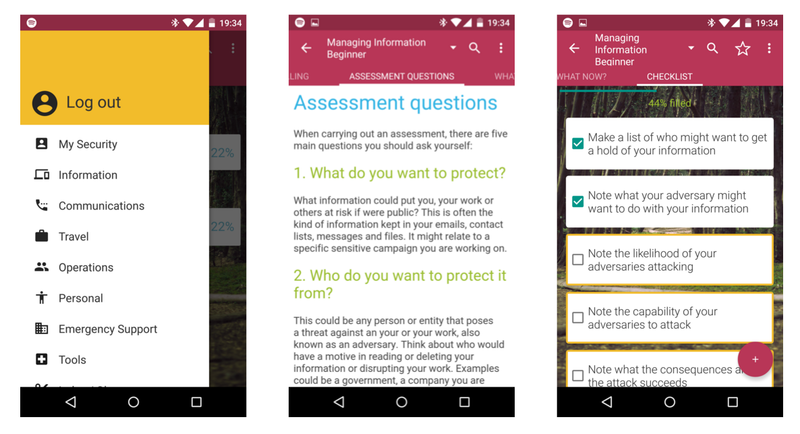 This iteration of the app launched into public Beta stage testing in October 2015. After just a few weeks, Umbrella has 800 users and growing, and 96% of reviews on Google Play are five star. The response from the human rights and tech communities has been brilliant. They’ve been so welcoming and supportive. What are you hoping to see Umbrella achieve in the next year? We want to add several functions to Umbrella: We want to help users streamline the process of preventative planning through sharable planning forms; We want to improve users’ awareness of the specific risks they face by improving the dashboard functionality; We want to integrate existing tools where practical and safe to do so; and we want to allow for greater tailoring and customisation throughout the app. Clearly, at-risk human rights defenders reside in more than English-speaking countries – we want to broaden access to as many languages as possible. We have already had requests for translation into many languages, but for practicality’s sake, we will begin with Arabic and Spanish before considering other languages. We also want to make sure that those with using desktops can also use Umbrella. We plan to create an iPhone version of the app once Umbrella 2.0 is complete. We want to ensure that each how-to guide is as clear, concise, intuitive and tailored to users in the field as possible. While the existing app is highly functional, we want to make sure it is a pleasure to use, so as to encourage retention. We obviously need to ensure that content remains up-to-date and relevant. We also want to improve the system for users contributing to and collaborating on content. Have you tried out Umbrella yet, what did you think? You can let Security First know by tweeting @_SecurityFirst. If not, you can test out Umbrella on Google Play. If you know of other tech tools for the digital safety of human rights defenders, comment below or tweet at us @TechChange. Holly Kilroy is the co-founder & Head of Org Development at Security First. 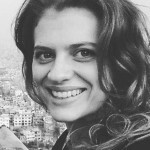 She has spent the past eight years building projects that leverage technology and civil society coordination to address issues of human rights and conflict. 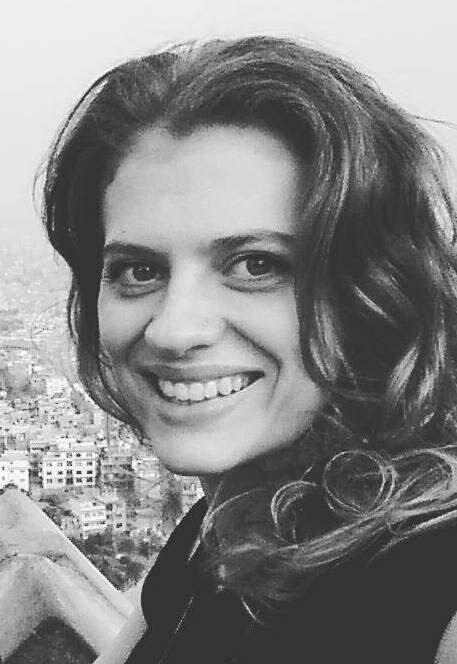 Holly previously worked as the Emerging Powers Coordinator at Crisis Action where she launched and led the emerging powers program, providing direction for both organizational growth and campaign traction across the BRICS. Prior to this she helped set up Videre, where she spent four years as Head of Development, framing the need for safer, more effective video documentation and helping to launch projects around the world. Holly has also served as the International Officer for Irish Labour Youth and worked in communications for CSOs in Israel, the Occupied Palestinian Territories, and the UK.